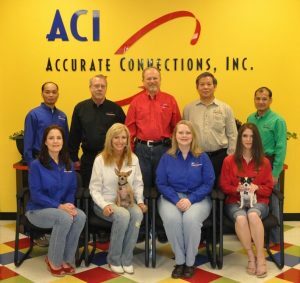 Accurate Connections provides a wide range of fiber and copper cable products, quickly and reliably. We provide both custom made fiber optic and copper assemblies, enabling one-stop shopping to save both time and money. Our depth of experience permits customers to depend on us to deliver the right product when their need is critical. Accurate Connections understands that “Time is Money!” We manufacture a wide selection of assemblies that meet your special needs, whatever they might be. Accurate Connections stocks most cables, connectors, and adapters. Our Just-in-Time manufacturing techniques enable us to fill orders for much needed cables with No Minimum, Drop Ship Penalty, or Blanket Requirement. We have applied ISO procedures to improve our manufacturing processes, collect and analyze product data , and measure customer satisfaction in order to continually improve the quality of our products and services. Fiber optic cables are tested and serialized for traceability. All test data is archived at our factory so that it can be retrieved when needed. Test data is included with the cables when they are shipped. Note to Distributors: Customized labels on your products allow your customers to re-order quickly and easily, promoting repeat business. Accurate Connections’ strict compliance with cable manufacturing standards ensures quality products at competitive prices. Our workmanship, materials, tooling, and deliverables meet and exceed the industry standards. 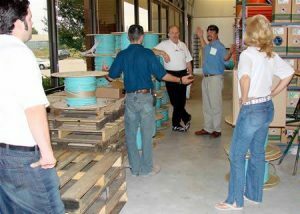 By being both flexible and dependable, Accurate Connections is committed to providing the best service possible. Please consider Accurate Connections for your future bids and product sourcing. Our knowledgeable, responsive staff will strive to provide you with exactly what you need, when you need it.